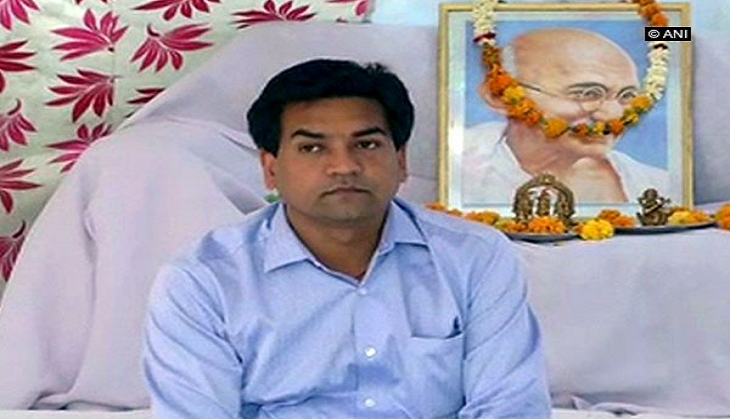 Suspended Aam Aadmi Party (AAP) MLA Kapil Mishra on Wednesday began his hunger strike , and asserted that he would not end his agitation until the party leaders disclose details of the funding for their foreign tours. "I am sitting on a 'Satyagraha' till I get a clarification on details of international travel expenses of some senior AAP leaders. It is not a dharna but a satyagraha. I would like to send out a message to Chief Minister Arvind Kejriwal to put out the details of the foreign tours of his five AAP leaders-Satyendra Jain, Ashish Khetan, Raghav Chaddha, Sanjay Singh and Durgesh Pathak in public domain," Mishra told the media here. Dramatically stating that his 'death' won't affect Kejriwal in any matter, he nevertheless pressed on his demand for a clarification and detailed explanation from the AAP supremo. "I know if I will die, it won't affect you (Kejriwal). This matter is concerned with the entire nation. You have always said that you don't have money to even contest election, then from where did they get the money for foreign tours. It will hardly take five minutes to disclose these details. I am waiting for you response," he added. The AAP MLA yesterday lodged three FIRs against Kejriwal and other party leaders with the Central Bureau of Investigation (CBI) in connection with various corruption charges against them. "I have filed three FIRs with the CBI. The first FIR is in connection with the cash deal between Delhi Health Minister Satyendar Jain and Kejriwal, while the second one is on how Jain has benefitted close relatives of Arvind Kejriwal in illegal land deals," Mishra told ANI here after leaving the CBI office. He had also filed FIR against AAP leaders Satyendar Jain, Ashish Khetan, Raghav Chaddha, Sanjay Singh and Durgesh Pathak for using illegal money for foreign tours. Mishra also submitted the documents in connection with the corruption charges he levelled against Kejriwal and other party leaders to the CBI. अभिनंदन को वाघा बॉर्डर तक छोड़ने आई महिला के बारे में नहीं जानते होंगे आप!